A 2-night event over WrestleMania weekend next year will feature inter-promotional and international competition. House of Glory has announced that Culture Clash 19 will feature promotions from around the world competing against one another. Anthony Carrelli’s (Santino Marella) Destiny Wrestling has just signed on to represent Canada at the event. 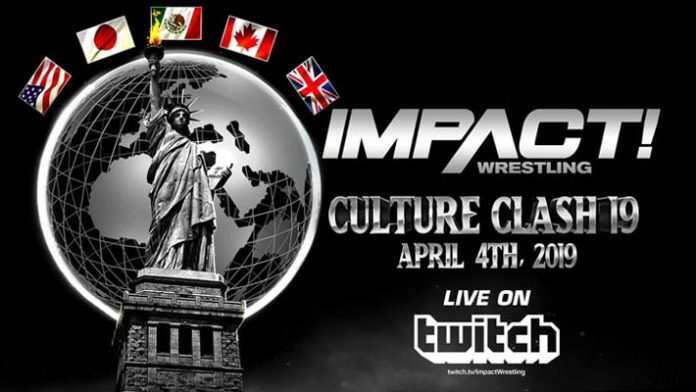 Culture Clash is becoming the biggest spectacle of WrestleMania Week with @IMPACTWRESTLING Confirmed, @DestinyWrestle Representing Canada ? ?, From The UK @IPWUK and @Fightclubpro ??. More coming soon. Yesterday, Impact Wrestling announced their involvement in the event. It is not clear, however, what country the international-based promotion will represent. While their head office is located in Toronto, Impact has international television deals. They also have a roster of stars from all over the world. IPW and Fight Club: Pro will both be involved in the event as well and both will represent the United Kingdom.